Today’s Sapporo temperature is very hot. I have never experienced such high temperature here. I’m writing this report at 22：00 in Japan time. Today’s analyze is Dollar/Yen hourly rate. The conclusion is range price continue for some hours. 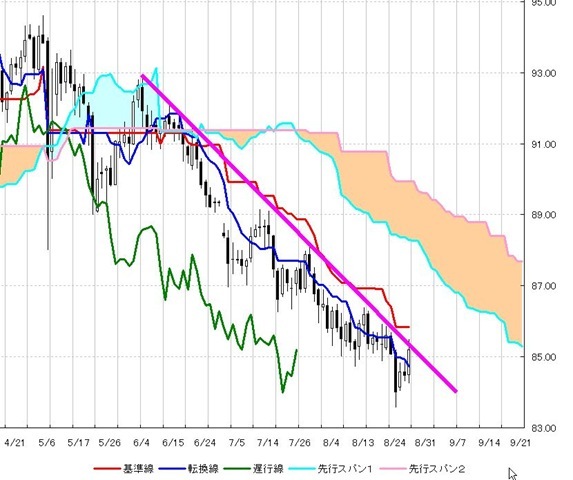 And also 84.50 yen is resistance point. We are waiting for new trend. Today, I tied Elk hair caddis. I use natural cow elk hair version and breached cow elk version. And use coq de Leon for rib. Leon hackle is nice shine and soft. 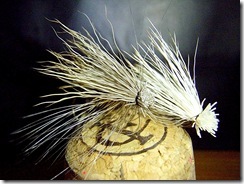 Yesterday, I use this type of fly and take a big rainbow trout. 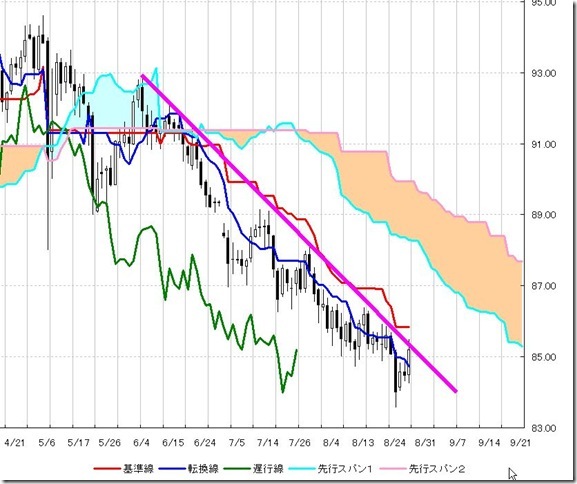 Today’s analyze is Dollar/Yen daily rate. Today’s Tokyo time, rage was broken; Rate exceeded magenta color trend line. (It draws from 6/4 high price to 7/28 high price.) 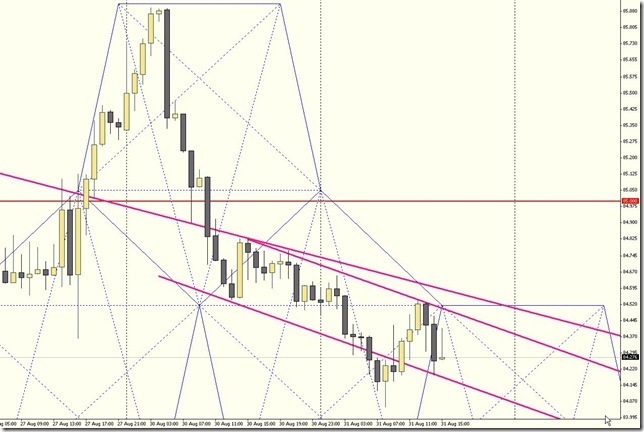 Dollar/Yen rate may be change range trend or upper side trend.